Last week I acquired two new Barbies, one bought at a bargain price from eBay and the other one a Fashionista my sister had spotted and thought that I might like. 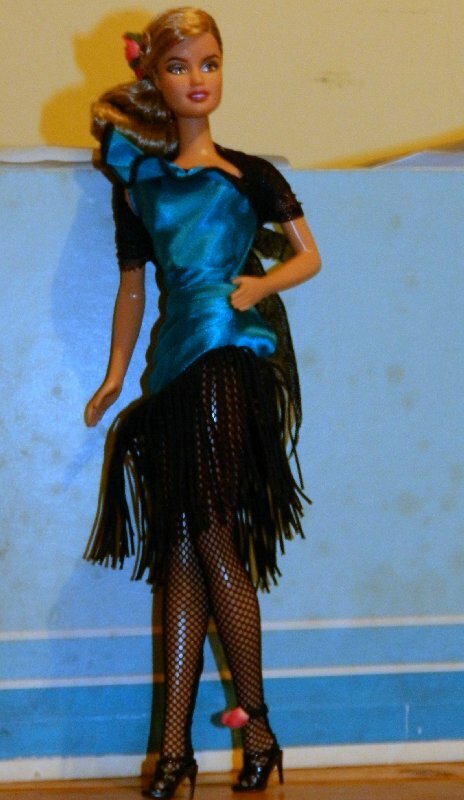 My bargain Barbie was Dolls of the World Barbie “Miss Argentina” who I introduced in a recent post. Although I like the DOTW series I’ve never bought any before because of lack of shelf space for display dolls and because I prefer to spend my Barbie dollar on dolls I can play with. I decided to buy Miss Argentina though because I saw her offered at less than half price and because she has the square-jawed Teresa face that I like and a dress that I thought would look nice on other dolls. At the price I paid for her I knew that I would not feel guilty about de-boxing her. When she arrived I wasted no time in doing just that. Miss Argentina still in her box. Here she is out of the box. I was surprised to discover that she had the old style body with the twist and turn waist as I didn’t think that Mattel used it any more. I guess if I bought more Pink Box collectibles I’d have been aware of that. From the photo of her I’d assumed that she had the Model Muse body as her arms looked like theirs. I wasn’t that worried though as I have lots of Fashion Avenue outfits that I knew would fit her. I have named her Alison and I expect I’ll use her again to model Fashion Avenue outfits as I still have a lot to catalogue. Here she is out of the box and in a Fashion Avenue outfit which I photographed her in for the last “Meet the Models” post I did. She has the older twist and turn waist body. DOTW Miss Argentina in a Fashion Ave European exclusive. 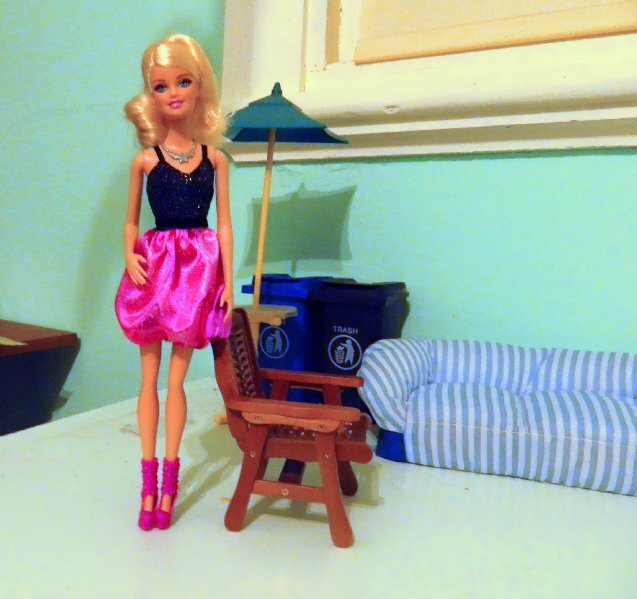 My other new doll, the one that my sister had picked for me is a recent Fashionista Barbie. My sister who knows that I don’t love a lot of the new playline Barbies because of their bland expressions thought that I might like this one which she said reminded her of the swirl ponytails of the vintage Barbie era which sadly we are old enough to remember very well. When she saw one on special in Target she grabbed her for me. Here she is before I deboxed her. This Barbie did have a Model Muse style body but made rather more cheaply with a lighter grade of vinyl and less definition and detail. 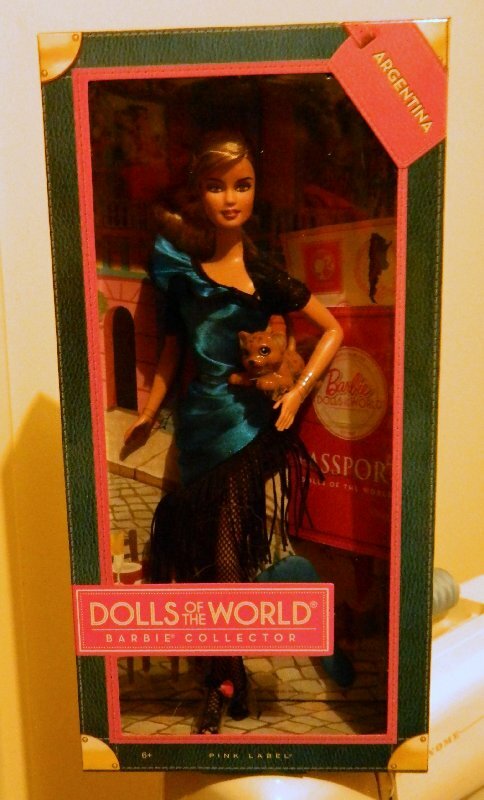 My earliest Basics girls are quite solid feeling and have nail polish on their fingers which this doll does not have. 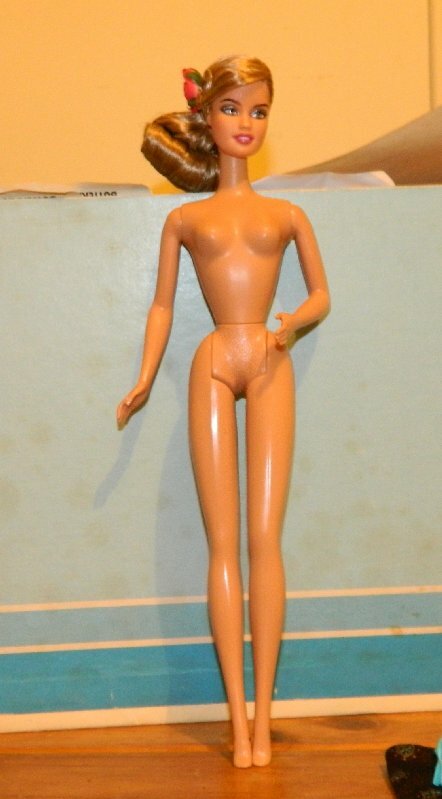 I was a bit surprised to see that Mattel had abandoned the jointed body of recent Fashionista dolls. Even though I did not really like the look of the joints and predicted that these dolls would be too fragile for rough play I must admit I miss the poseability. Still she is a nice doll. I’ve named her Paula and you will probably be seeing more of her in future posts. Interesting comparison to the swirl ponytail dolls – I’d not thought about that. It seems that Mattel are still committed to using the pivotal bodies, but now they are used for the “deluxe” playline dolls, the Barbie Styles and the LITD dolls. Oh well, at least they are still around – I much prefer them to the rigid bodies. I love Miss Argentina! Like you, I was surprised to find that they are still using the old bodies for these dolls. I think it’s just bizarre! I don’t think she looks quite like a swirl myself they have an impossible hairline, I’m sure it would be uncomfortable in real life. However I can see what my sister meant when I look at this doll.